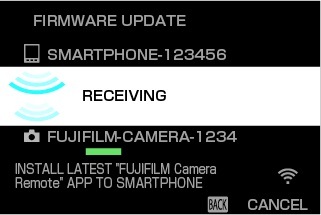 Connect the smartphone or tablet to the Internet and download the camera firmware from the FUJIFILM website. 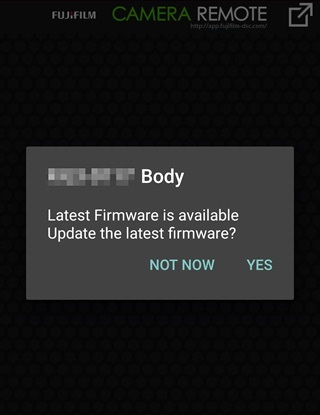 If you tap NOT NOW, you can afterwards click the settings icon at any time to update the firmware. 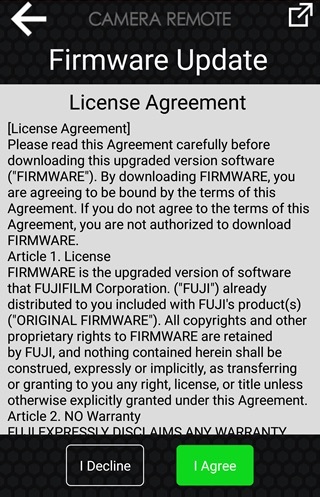 Tap I Agree to accept the terms of the license agreement and begin download. Wait for download to finish. 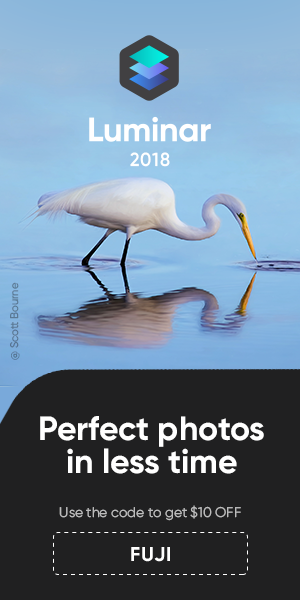 When download is complete, you will be prompted to begin the update. 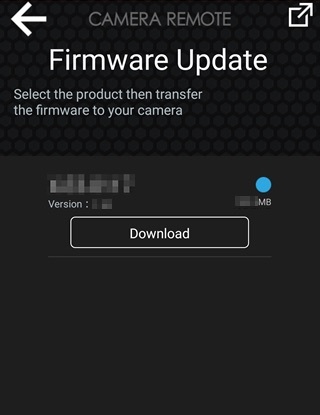 After downloading the firmware, copy it from the smartphone to the camera. Turn on the destination camera. 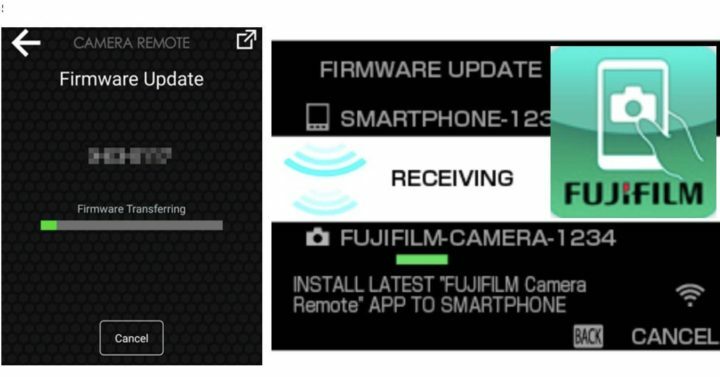 Tap Update on the smartphone to start copying the firmware to the camera. 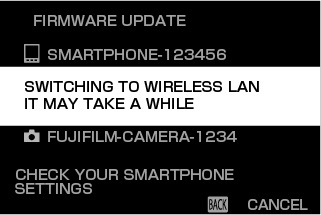 A message will be displayed stating that the camera is switching to a wireless LAN connection. 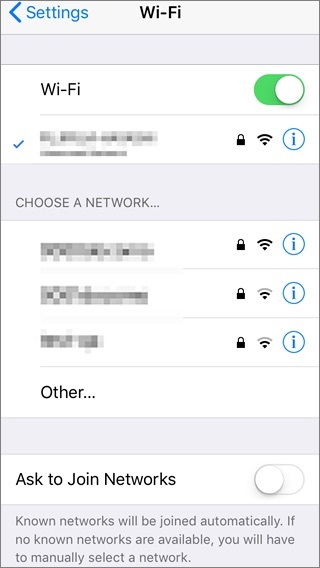 iOS devices will display a message requesting connection to the camera. 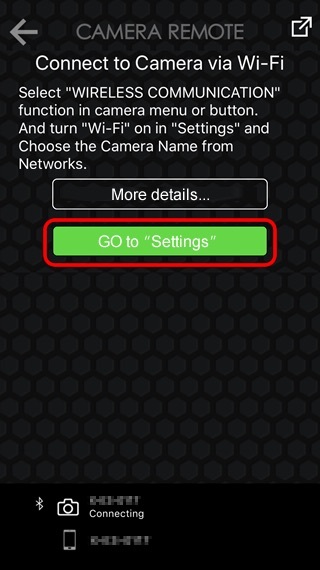 Tap GO to “Settings” and choose the destination camera. This step is not required on Android devices. 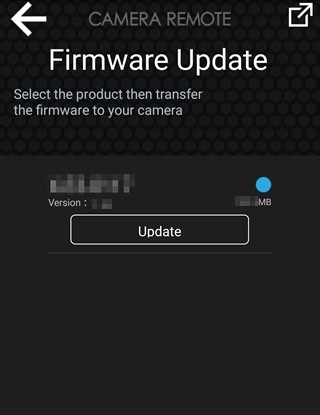 Perform the update using the firmware copied to the camera. Once the smartphone finishes copying the firmware to the camera, the camera will terminate the connection and begin the update automatically. 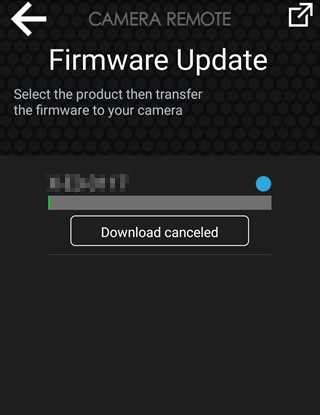 Tap OK on the smartphone to exit when the update is complete.